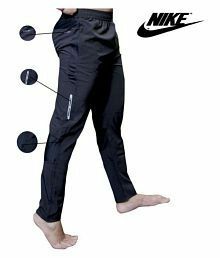 Here are top selected products for "Active Wear"
Active wear provides us with a way to not only engage comfortably in sports and activity, but also to look trendy while doing so. Active wear covers a range of clothing items from sweat absorbing T-shirts to track pants to sports bras and even general clothing items that can be worn as street wear. The right kind of active wear can even help you perform better.When looking for active wear, the most important factor that you should consider is the fit. Well fitting active wear gives you the right support and comfort for indulging in physical activities. If you like to exercise outdoors, then you should look for lighter coloured clothing; lighter colours keep you cooler. Active wear is also available in sweat resistant and sweat absorbing fabrics, and it is a good idea to invest in a few T-shirts and track pants of this material. When it comes to functionality, it is also a good idea to select active wear with zippered, hidden pockets to keep your keys, cash, or an ID card. 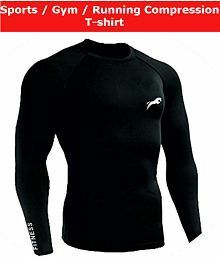 T-shirts that you wear while working out should breathe well, and allow for movement. Apart from full-length track pants, women also have the option of capri-length exercise pants. They offer the same comfort and flexibility as full-length track pants, but keep you a little cooler. In fact, a lot of men are also opting for this length of track pants for working out, or just while relaxing. 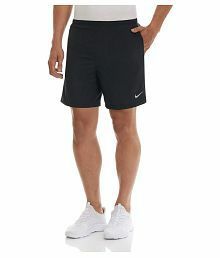 Men and women can also choose from a wide range of shorts for running, cycling etc. Also, if you like to work out in the outdoors, hoodies and track suits are a great way to beat the cold. Hoodies and jackets not only serve as a warm-up piece but are also good for casual wear. Hoodies can have zipper fronts or can be structured as pullovers. 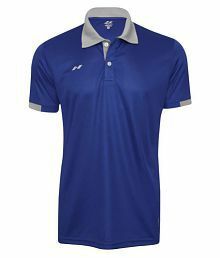 Today, active wear such as T-shirts, track pants or track suits are available in a wide variety of colours such as blue, pink, yellow etc., apart from the regular black and grey. It is a good idea to invest in a few pieces of active wear, so you can keep rotating them. Snapdeal has a lot to offer you for your entire workout needs. It has a wide variety of active wear in it collection including T-shirts, track pants, tracksuits and much more. Buy active clothing on Snapdeal and get ready to work out in your new and stylish ensembles! Browse more for hassle free online shopping experience with COD option.